Director of the upcoming Sundance premiere “Selah and the Spades” discusses the influence of Chris Marker’s seminal short film on her career. It’s also hard to relax when making one. 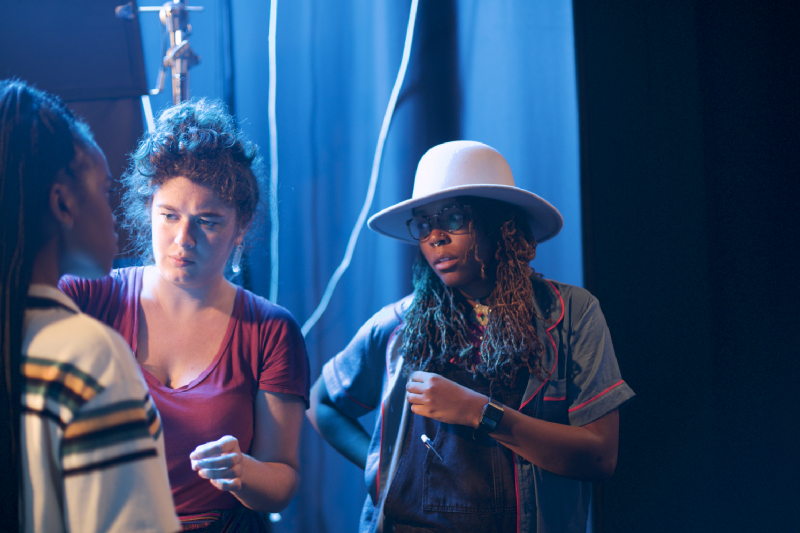 Philadelphia filmmaker Tayarisha Poe knows this all too well. She’s about to premiere her debut feature at the Sundance Film Festival. The days, weeks, months and years of writing, prepping, shooting and editing have come to that moment at the Egyptian Theatre in Park City, Utah when the lights fade, the audience settles into their seats and the film begins. Her premiere is called Selah and the Spades, but this wasn’t the first iteration of the project. 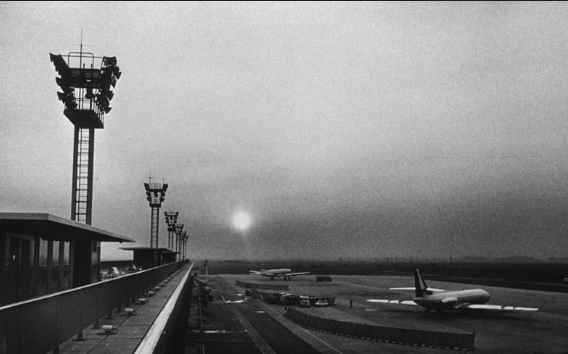 In “La Jetée”, the striking images are made cinematic by sounds and music. That may seem like a strange way to talk about a semi-experimental film set in a harsh post-apocalyptic world. But Tayarisha has always been much more comfortable (and much more comforted by) the uneasy truths and the revelations most hard to swallow. Even the film’s tragic ending brings her surprising solace. Though Selah and the Spades, a film about divided factions within the student body of a Philadelphia area boarding school, is a much different story than La Jetée, both deal in the human drama of uncovering such truths, especially as they relate to the past, and our memories of it. “This is the story of a man, marked by an image from his childhood.” — The opening line of La Jetée. The Man, like a filmmaker, finds memory the greatest obsession. Like The Man in La Jetée, the filmmaker attempts to go back in time with cinema, attempts to recreate pivotal moments, no matter how loosely, from the past still being reckoned with. Yet, even when the film is made and released to the world, the uncomfortable truth remains: there is no escape from the image. It still haunts. 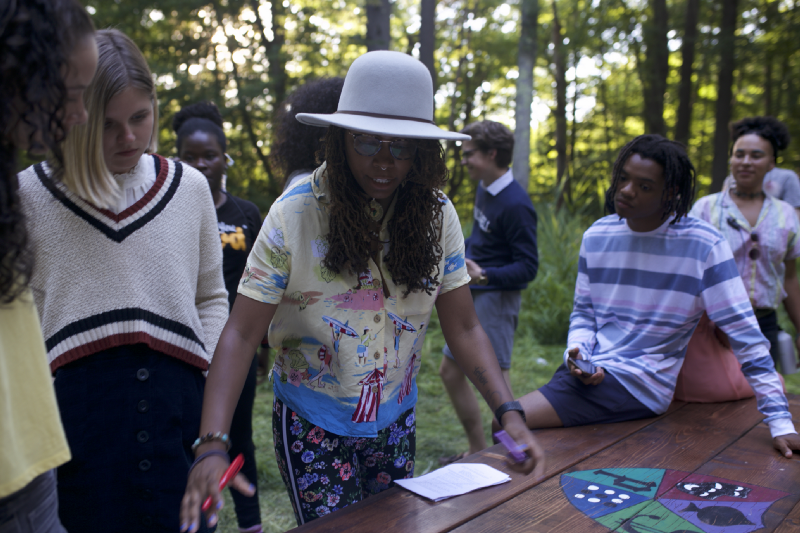 In this reflection, the director of Selah and the Spades offers us a saving grace: a transcendent way out of the cyclical. La Jetée itself ends at its starting point. The film loops back, only, we suppose, to begin again. But is Tayarisha right? Can the invariable number of possible experiences provided by movies create a certain transcendentalism? This pivotal scene from La Jetée begs a crucial question: when a film built of still, fragmented images suddenly beget motion, and when the entire visual language the film set up for us suddenly breaks down, what else can we attribute to witnessing but the transcendent incarnating itself into the moving image? A pivotal scene — when still images become, for a moment, moving images. 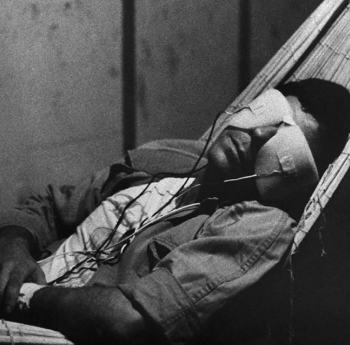 It’s what Chris Marker taught Tayarisha when she first saw La Jetée at the age of 15, and what this film taught the rest of movie history: cinema saves us. It saves us, somehow, each time we get access to another person’s vision of the world through cinema. So what better destination for Selah and the Spadesthan the Sundance Film Festival — a place devoted to sharing as many possible experiences, and images, as possible. So, yes; it’s hard to relax while watching a movie. It’s hard to relax while making one. But the pursuit is always worth it. Click here to see the Sundance showings of Selah and the Spades. Watch the full version of La Jetée here.